The sun is here, the barbecues are warming up, and drinks are cooling down, and friends are coming over for the annual parties and get-togethers that proudly show that geeks can have fun outside of a cinema screen or away from a console (I swear we can). Music is an integral part of that geek party atmosphere, so what should be on the aural menu? Movie soundtracks, of course! 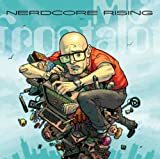 Here are some suggestions for great movie soundtracks to use as inspiration for the most memorable geek summer yet. Old favourites are the key to soundtracks that every geek in the place will know and love. 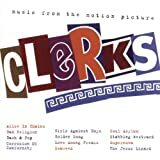 The Clerks soundtrack and Clerks 2 are a great starting point, full of songs that are just geeky enough for the average film fan to know the tunes. The Breakfast Club and Star Wars are also awesome choices. More? 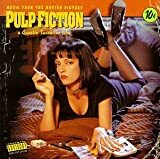 Here are a selection of suggestions for movie soundtracks that are perfect for the summer: Ghostbusters, Pulp Fiction, Transformers (Animated and live action), Blade Runner, Kill Bill, The Matrix (Just the first one. I swear the other two never happened! 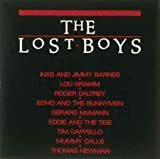 ), The Lost Boys (one of the best soundtracks ever released), Lord of the Rings, and pretty much anything from the cult TV files. The trick is to mix new and old, recent hits with old favourites that everyone knows and loves. Here’s to the summer, and to soundtracks. Have a good one, folks.